Unit Text: 91 (5th Bn. The Argyll and Sutherland Highlanders) Anti-Tank Regt. 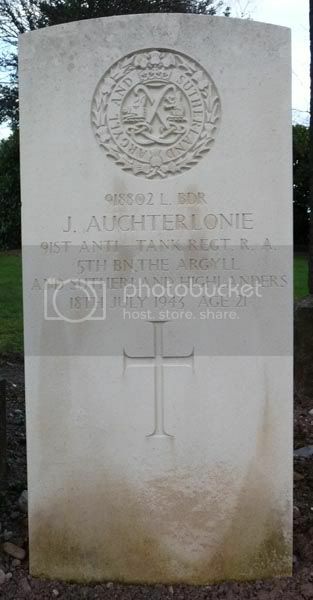 Additional information: Son of Mrs. M. J. Auchterlonie, of Brechin. Grave/Memorial Reference: Sec. D. Grave 55. Additional information: Son of Peter and Jane R. S. Ballantine, of Brechin. Grave/Memorial Reference: Smithbank Extn. Sec. L. Grave 171. 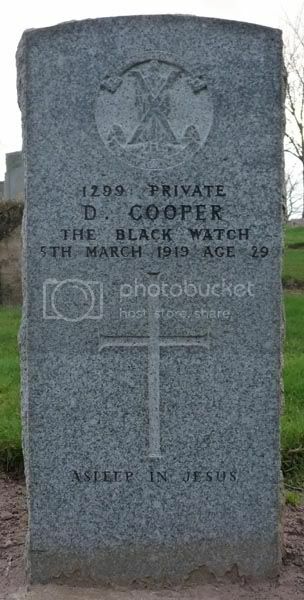 Additional information: Husband of Alice Easson Fenton (formerly Cooper), of Dalls House, Montrose St., Brechin. Grave/Memorial Reference: I. 263. 3. Unit Text: 28th Training Depot Station. Additional information: Son of Edmund N. and Mary A. Cordiner, of 29, East Bank, Brechin. Born at Port Elizabeth, South Africa. His brother Harry Noble Cordiner also fell. Grave/Memorial Reference: C. 171. 3. 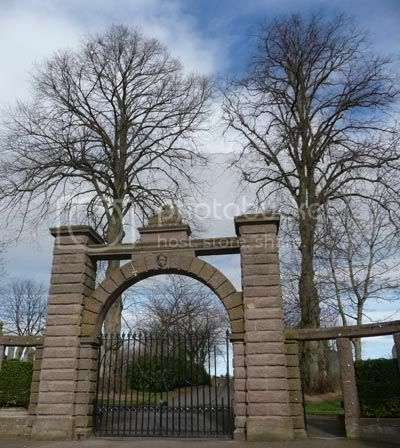 Additional information: Son of Edmund and Mary A. Cordiner, of 29, Eastbank, Brechin, Forfarshire. Born in South Africa. 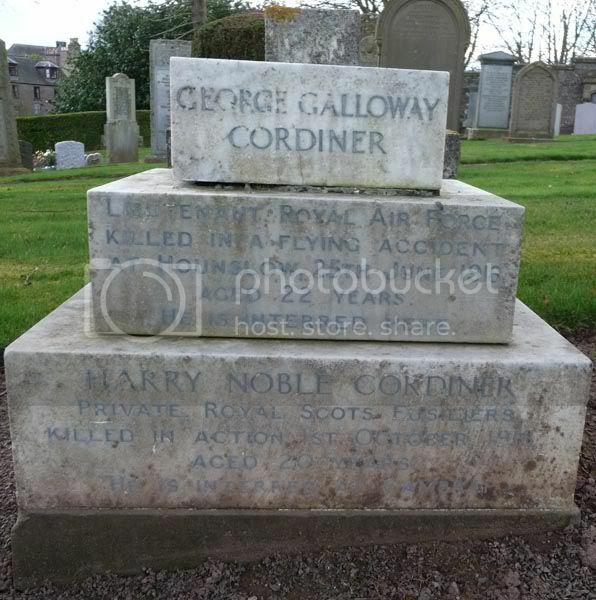 His brother George Galloway Cordiner also fell. Grave/Memorial Reference: VI. A. 6. Secondary Unit Text: transf. to (123404) 38th Coy. 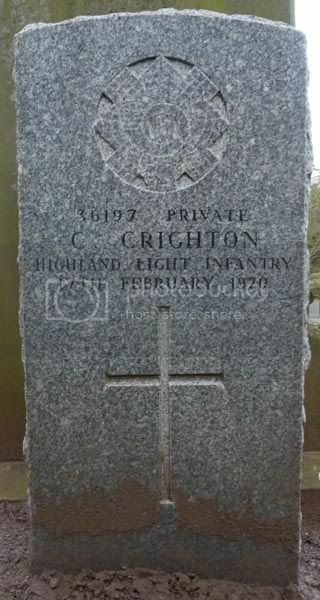 Additional information: Son of Andrew Philip and Elizabeth Cross, of Brechin. Grave/Memorial Reference: Smithbank Extn. Sec. A. Grave 33. Unit Text: Highland Cyclist Battalion. 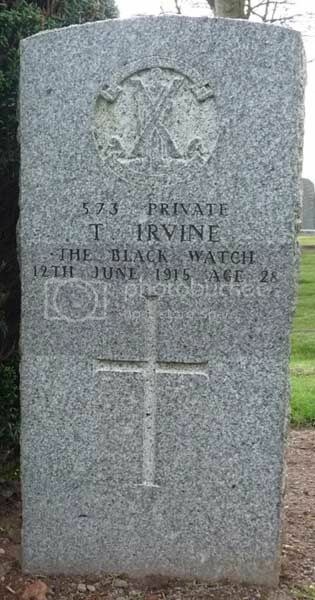 Additional information: Son of Mr. and Mrs. John W. Davidson, of 107, Montrose St., Brechin. 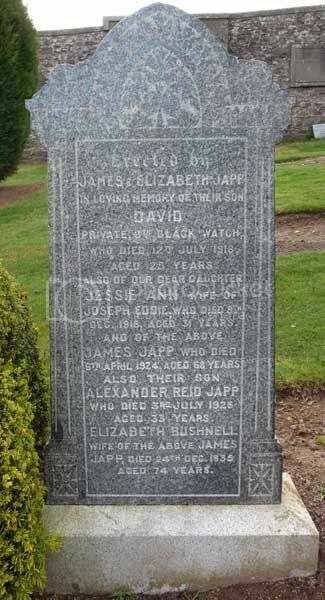 Additional information: Son of Mrs. Mary Jane Duthie Gowans Edward, of Gladstone Place, 23, Latch Rd., Brechin. Grave/Memorial Reference: E. 401. 1. 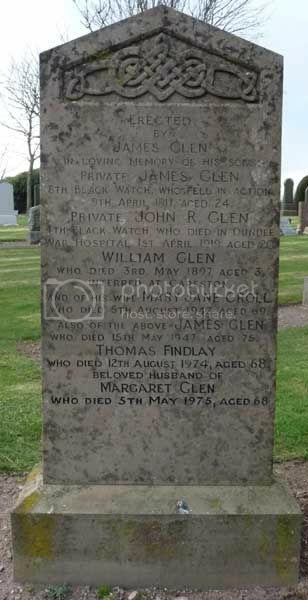 Additional information: Son of James Glen, of Blibberhill, Brechin. Additional information: Son of John Young Gorrie and Jane Ann Gorrie, of Montrose. Grave/Memorial Reference: Smithbank Extn. Sec. B. Grave 15. 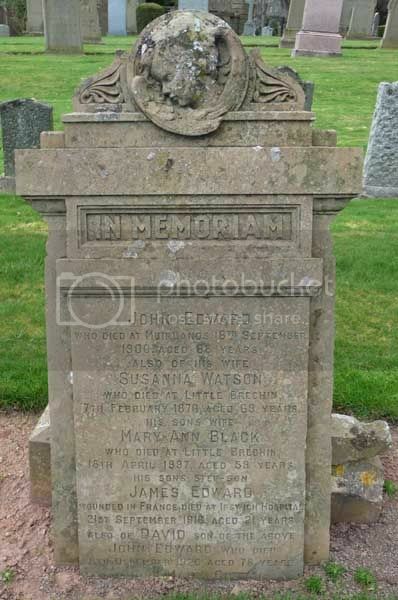 Additional information: Son of James and Elizabeth Japp, of 56, Bridge St., Brechin. Grave/Memorial Reference: L. 143. 3. 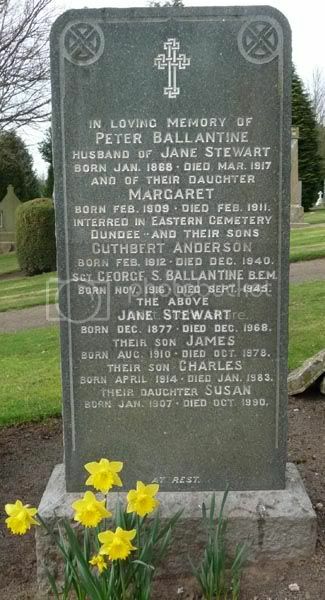 Additional information: Daughter of James Christie Jarron, and of Helen Jarron (nee Marr), of Brechin. Grave/Memorial Reference: Sec. F. Grave 32.